Each person is called to love and serve God, each in his or her own unique way. Some are called to be priests who “serve in the name and in the person of Christ the Head in the midst of the community…they serve the People of God by teaching, divine worship, and pastoral governance” (Catechism of the Catholic Church, 1591-1592). Others consecrate themselves to God in religious life, professing the vows of poverty, chastity, and obedience in order to serve God and the Church (Catechism of the Catholic Church, 944-945). The man below is responding to God’s call by preparing to enter into the vocation to the Permanent Diaconate. Please pray for him as he continues on his journey. 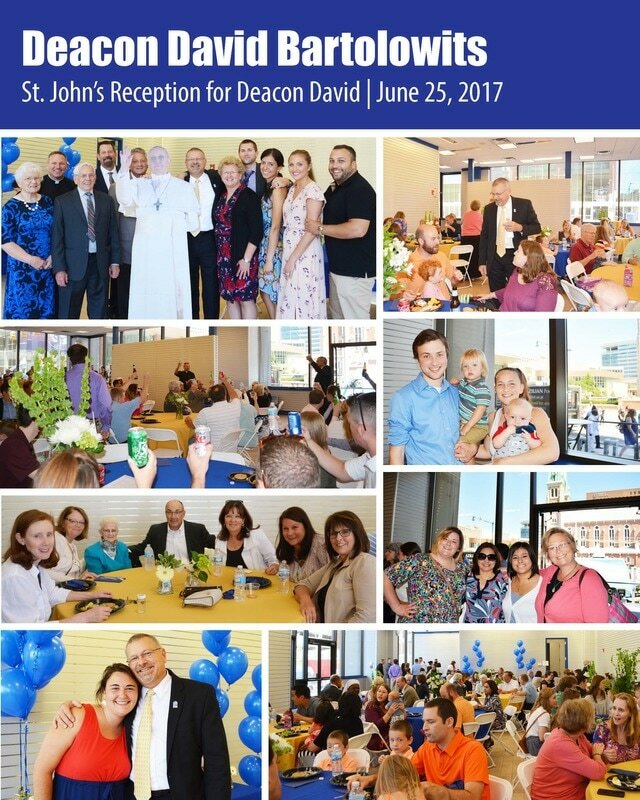 Congratulations to Deacon David Bartolowits who was ordained as a Permanent Deacon on Saturday, June 24 at the Cathedral! It is with great gratitude to God that we welcome David as a permanent deacon here at St. John's along with his wife Leslie, by his side. I can only imagine how God will continue to work in and through this newly ordained Deacon as he seeks to serve the Lord even more fully as a member of the clergy! 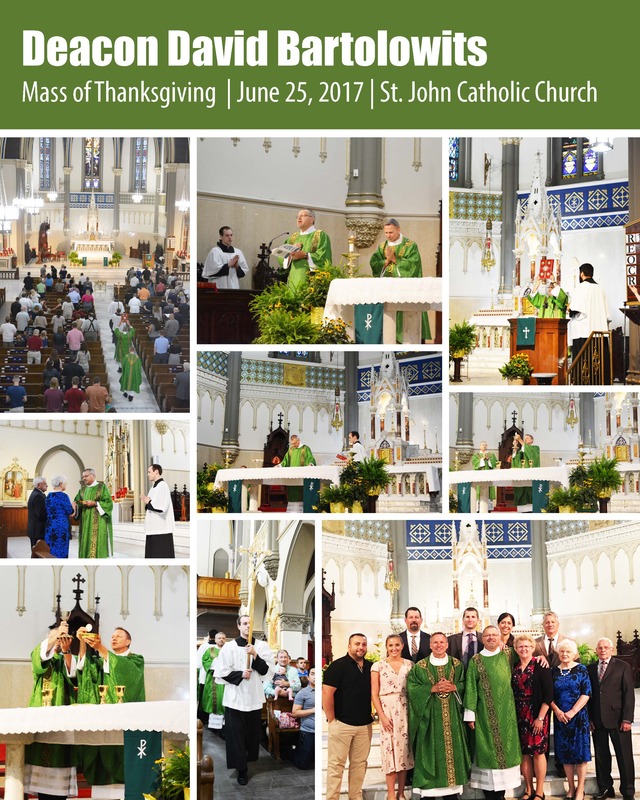 Read more about Deacon David's journey below and see photos from the Ordination Mass and the Mass of Thanksgiving at St. John's. Part 1 Insert | What is a Deacon? 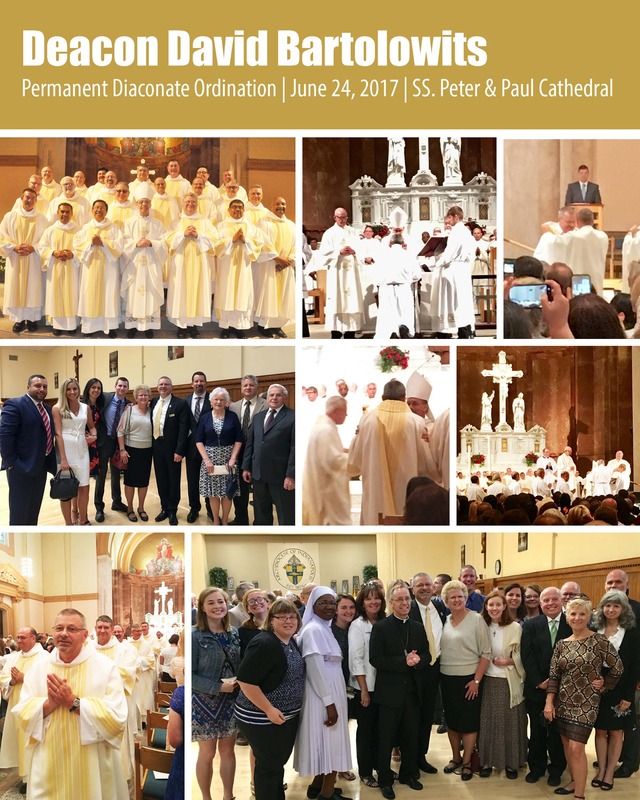 ​Part 2 Insert | What does a Permanent Deacon do? Interests: Music, outdoor activities, and reading books of history, spiritual writers, and theology. Brief description of your discernment journey: The beginning of my discernment began in the winter of 2011 when I felt a call to pursue a deeper understanding of my Catholic faith. Through the grace of God, an academic interest renewed my love and respect for the Church. By way of prayer, I have discerned the call to serve the people of God as an ordained minister in the Indianapolis Archdiocese. Advice for those discerning their vocation: Discernment begins and continues with prayer. Without taking the time to question, ask, and listen, we will never be able to hear the voice of God that speaks in a gentle whisper. Prayer requests: Pray that I may continue to grow in faith and love for Christ and his Church during these years of formation.